Bidders on a 40-acre horse farm one hour south of Seattle have the chance to live a life of luxury—even if the apocalypse strikes. 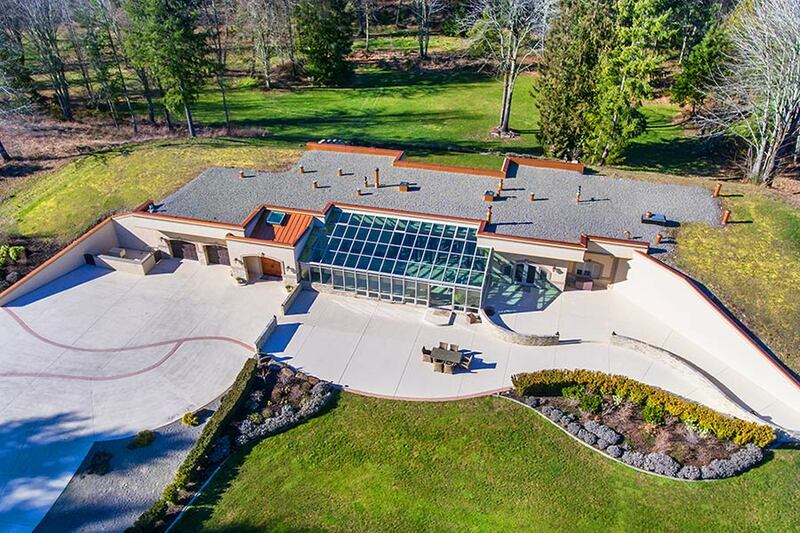 Trinity Farm, an equestrian estate in Yelm, Washington, with an indoor pool and a three-bedroom, air-tight bunker, heads to a live auction on Friday afternoon without reserve. Previously asking $5 million, the five-bedroom main mansion and its numerous outbuildings will sell to the highest bidder regardless of price. The property has all the bells and whistles of a multi-million-dollar horse farm, including an Olympic-sized indoor arena with highly prized Attwood composite footing, paddocks and acres of riding fields. The custom-built estate also has a helipad, snail-shaped motor court and an open floor plan that flows into a sun-drenched, glass conservatory.